Pale in color with a nice crisp nose with some nice citrus coming through. On the mid palate it matches the nose with nice crisp dry minerality along with some nice lime notes. On the medium length in finish the wine displays some lively acidity. 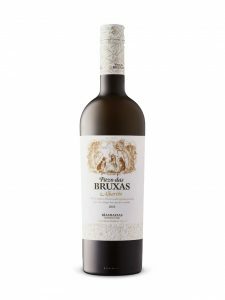 A super food friendly well made Albarino that would hold up well to fatty or even spicy foods. We paired it with a seafood stir fry with hoisen sauce and it went well having no issues cutting through sauce without issue but still not overwhelming the food. I would give it an 88 or so. This entry was posted in JG Review, Spain, Wine. Bookmark the permalink.